Hello again, this is the first “Those” in almost a year. A number of factors, reasons and events caused this to happen, none of which is important to you. The immediate goal is to publish every two months while working toward being a monthly column again. First, I would like to look at some excellent books appearing in the stores over the last few months. These are the newest books in Savas Beatie’s Emerging Civil War series, combining an excellent history with a comprehensive tour in an inexpensive and readable package. A Season of Slaughter: The Battle of Spotsylvania Court House, May 8-21, 1864 and The Last Days of Stonewall Jackson: The Mortal Wounding of the Confederacy’s Greatest Icon both by Chris Mackowski and Kristopher White all are highly recommended. 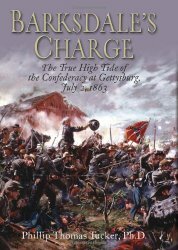 Barksdale’s Charge: The True High Tide of the Confederacy at Gettysburg, July 2, 1863 by Phillip Thomas Tucker from Casemate is a detailed look at this important event. Often call the “grandest charge”; it is easily lost in the second day’s fighting. Battle Hymns: The Power and Popularity of Music in the Civil War by Christian McWhirter is the first (only?) book I have found looking at the role of music in the war. This is another book the University of North Carolina Press will publish to increase our knowledge as almost a public service. Stuart’s Finest Hour: The Ride Around McClellan, June 1862 by John J. Fox III is a detailed look at an event that is always mentioned but seldom studied. General Gordon Granger: The Savior of Chickamauga and the Man Behind “Juneteenth” by Robert Conner looks at this less than successful general. Bradley Gottfried’s newest book in this fine series is The Maps of the Bristoe Station and Mine Run Campaigns: An Atlas of the Battles and Movements in the Eastern Theater after Gettysburg, Including … and Morton’s Ford, July 1863- February 1864. 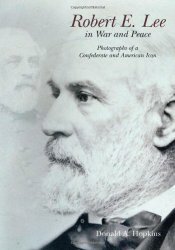 Robert E. Lee in War and Peace: The Photographic History of a Confederate and American Icon by Donald Hopkins is both a history of Lee’s photographs and of early photography making for an interesting read. The one Civil War book I wish I had when we lived in New York City is Bill Morgan’s The Civil War Lover’s Guide to New York City to enjoy the 150+ sites identified and talked about. Battle of Big Bethel: Crucial Clash in Early Civil War Virginia by J. Michael Cobb, Edward Hicks and Wythe Holt fills a gap in battle histories. While not Civil War history, White Cargo: The Forgotten History of Britain’s White Slaves in America by Don Jordan and Michael Walsh looks at one way America solved its labor shortage. A Disease in the Public Mind: A New Understanding of Why We Fought the Civil War by Thomas Fleming looks at how attitudes changed in the years leading up to the war. Every student of the American Civil War should read this book. Richard Lowe edited a history of the war written by Walker while living in London. Greyhound Commander: Confederate General John G. Walker’s History of the Civil War West of the Mississippi is a book every Trans-Mississippi person will want in their library. This is a magnificent oversized full color book that is a joy to have. Kevin Dougherty looks at Ships of the Civil War 1861-1865: An Illustrated Guide to the Fighting Vessels of the Union and the Confederacy. Scott Patchan brings his considerable knowledge and writing skill in the well received The Last Battle of Winchester: Phil Sheridan, Jubal Early, and the Shenandoah Valley Campaign, August 7 – September 19, 1864. I can never overlook a book by Earl J. Hess and Kennesaw Mountain: Sherman, Johnston, and the Atlanta Campaign reminds me why I enjoy his work so much. In Searching for George Gordon Meade: The Forgotten Victor of Gettysburg, Tom Huntington writes a different book that is part history part personal experiences but all interesting. Crunching the numbers is always difficult; Alfred C. Young III boldly steps into the fray with Lee’s Army During the Overland Campaign: A Numerical Study. Allen Guelzo has written the Butterfield/Sickles story of Gettysburg in the easy to read but highly questionable book titled Gettysburg: The Last Invasion. Chris Mackowski and Kristopher White have written an outstanding and badly needed book in Chancellorsville’s Forgotten Front: The Battles of Second Fredericksburg and Salem Church, May 3, 1863. J. David Petruzzi and Steven Stanley gave Gettysburg fans a real treat with The Gettysburg Campaign in Numbers and Losses: Synopses, Orders of Battle, Strengths, Casualties, and Maps, June 9 – July 14, 1863. This full-color well-written book is a real addition to books on this battle. Milliken’s Bend: A Civil War Battle in History and Memory looks at a battle that is important mainly for the development of the USCT. Linda Barnickel takes a thoughtful look at the battle fought on the field and afterwards. Lastly, we look at two books that argue our history (remembrance?) might be incorrect. Frank Varney’s General Grant and the Rewriting of History: How the Destruction of General William S. Rosecrans Influenced Our Understanding of the Civil War argues Grant’s memories are unfair to Rosecrans for personal reasons. Stephen M. “Sam” Hood, a distant relative is the author of John Bell Hood: The Rise, Fall, and Resurrection of a Confederate General. Both books have generated lots of comments, questions and debate. The publication of the second volume of The Petersburg Campaign: The Western Front Battles, September 1864 – April 1865 by Edwin Bearss and Bruce Suderow is the most important event. 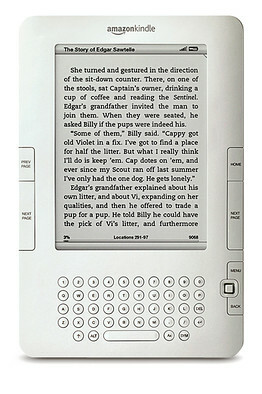 Scheduled for April, Savas Beatie started selling the book in mid-March. 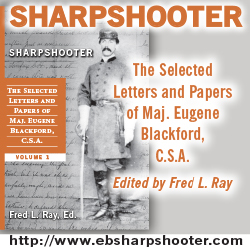 This book covers the battles of Peebles’ Farm, Burgess Mill, Hatcher’s Run, Fort Stedman, the Five Forks Campaign and the Sixth Corps Breaking the Petersburg Lines. Complementing this is two dozen original maps by Civil War cartographer George Skoch with a full set of photos and illustrations. How the parks went from privately owned property to parks is of interest to me. On a Great Battlefield: The Making, Management, and Memory of Gettysburg National Military Park, 1933–2012 by Jennifer M. Murray is one of the few books I have seen on the subject. Sadly, this book starts after most of the memorials are in place. Timothy B. Smith’s This Great Battlefield of Shiloh: History, Memory, and the Establishment of a Civil War National Military Park is the other book I know about, the University of Tennessee Press publishes both books. Stories of the South: Race and the Reconstruction of Southern Identity, 1865-1915 by K. Stephen Prince examines reconfiguring the southern identity in the 50 years after the war, looking at Reconstruction, the “lost cause” and Jim Crow. Looking at the reaction of the government, the press, the military and the public to secession is With Malice toward Some: Treason and Loyalty in the Civil War Era. This book by William A. Blair considers both the war and the years following.